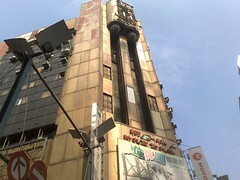 The Shizilin building in Ximending is a complex of cell phone shops, arcade game shops and a movie theater. The first floor of it has plenty of shops selling cell phones, cell phone accessories, cameras, electric devices etc., like Sincere Podium in Hong Kong. The staff doesn’t understand English, though. 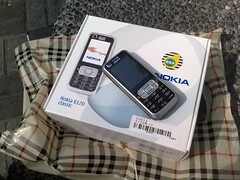 I got Nokia 6120 classic at a shop in the building, just for NT$5000. When I looked into my wallet I found enough money I can afford to buy it. It supports HSDPA. When it comes to cell phones in Taiwan of these days, I found that Nokia wasn’t dominant. I saw not so many people used Nokia handsets. 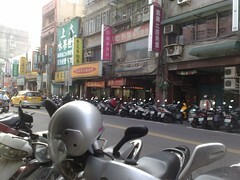 Instead, Sony Ericsson, LG, Samsung seem to be popular among Taiwan’s people. Among them, Samsung’s Anycall brand handsets were seen in many places. It's the Wanhua district. 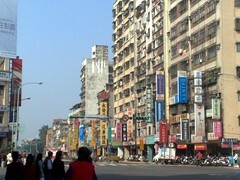 There are old Chinese buildings and stores in the area. I like it. Taipei International Airport looked as if it had been a major airport in Japan. 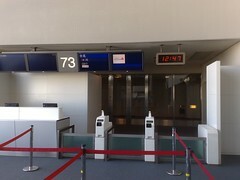 Signs looked almost as same as those in a Japanese airport, except that they were written in traditional Chinese characters. 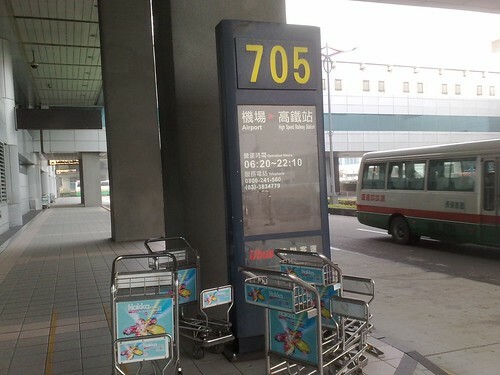 If you go to the bus stop on the first floor of the airport you can catch a route 705 bus to HSR Taoyuan Station, costing just NT$30 (almost 1USD). It’s too cheap! There were no other passengers but me in the big double-decked bus. 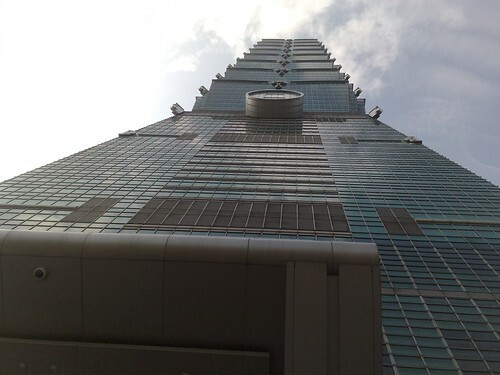 This is TAIPEI 101, which HAD BEEN world’s tallest building until Burj Khalifa was built in Dubai. It was closed to general people but employees of its tenants. 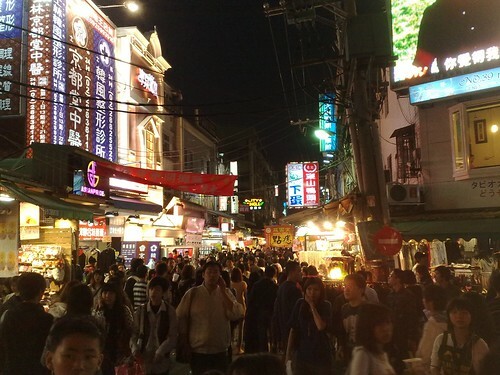 It’s Shilin Night Market, one of Taipei’s famous night markets crowded for thousands of people from around. At stores of both sides of the main street clothes and wallets were sold for cheaper prices than at department stores. If you get on a branch road you have stinking stalls selling foods. 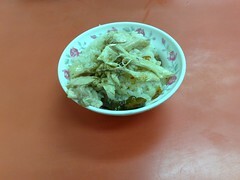 I got chicken rice at one of the stall. It tasted nice, although stalls around there stank. 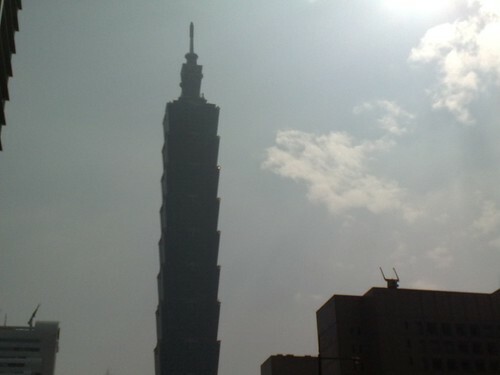 I’ll be in Taipei until next Monday to see my brother working there now. 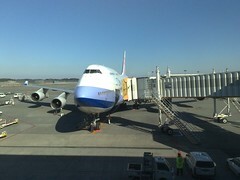 The airplane will depart in an hour. I’m typing this entry in front of the gate. 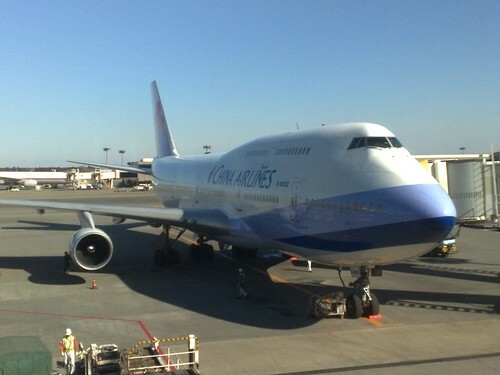 Flight attendants are chatting very loudly…. Anyway I’ll enjoy being abroad because it’s been almost three years since my last trip to a foreign country. Today is the memorial day of the earthquake I was suffered from with my family 15 years ago. I was at my parents’ house in Nishinomiya, Hyogo, when the great earthquake struck the Kobe area. I can’t forget what went on, what I saw, what I did, and what I was helped at that time. At the same time, I can’t help feeling deep sympathy with people in Haiti who are just now struggling against the natural disaster. Although what I can do for them is very limited, I sent a little amount of donations to American Red Cross, Doctors without Borders, and some of similar organizations in charge of rescuing and supporting the survivors.